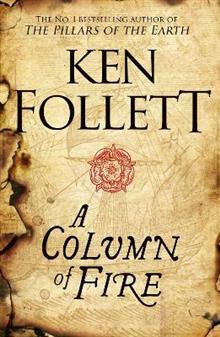 The saga that has enthralled the millions of readers with The Pillars of the Earth and World Without End now continues with Ken Follett's magnificent, gripping A Column of Fire. 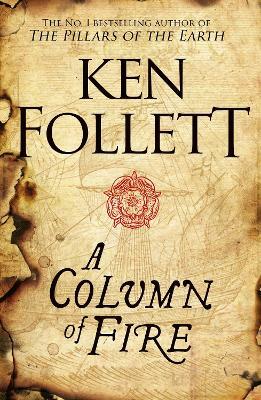 The saga that has enthralled the millions of readers of The Pillars of the Earth and World Without End now continues with Ken Follett's magnificent, gripping new story. Young Ned Willard is coming home to Kingsbridge at Christmas as A Column of Fire opens. The year 1558 will turn Ned's life upside-down and change Europe for ever. The ancient stones of Kingsbridge Cathedral look down on a city torn by religious hatred. High principles clash bloodily with friendship, loyalty and love. Ned finds himself on the opposite side from the girl he longs to marry, Margery Fitzgerald. When Elizabeth Tudor becomes queen, all of Europe turns against England. The shrewd, determined young monarch sets up the country's first secret service, to give her early warning of assassination plots, rebellions and invasion plans. Waiting in Paris is the alluring, headstrong Mary Queen of Scots, part of a brutally ambitious French family. Proclaimed the rightful ruler of England, she has her own supporters scheming to get rid of Elizabeth. Ned Willard hunts the slippery, enigmatic Jean Langlais, not knowing that the false name hides a childhood classmate who knows him all too well. Over a turbulent half-century, the love between Ned and Margery seems doomed, as extremism sparks violence from Edinburgh to Geneva. Elizabeth clings precariously to her throne and her principles, protected by a small, dedicated group of resourceful spies and courageous secret agents. The real enemies, then as now, are not the rival religions. The true battle pitches those who believe in tolerance and compromise against the tyrants who would impose their ideas on everyone else - no matter what the cost.